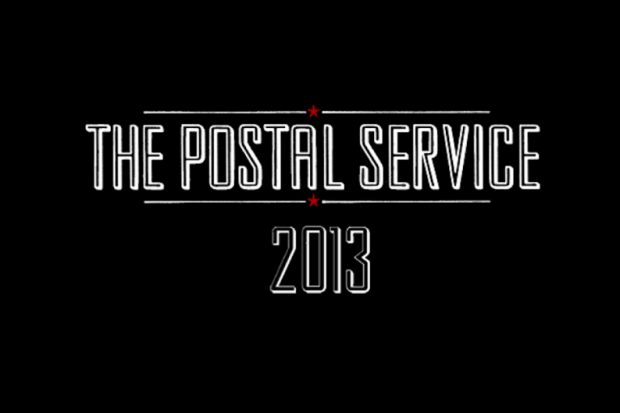 The Postal Service have announced a string of dates surrounding their appearances at Coachella and Primavera Sound. The short jaunt kicks off April 9th in Reno, NV and wraps with a headlining slot at Brooklyn’s Barclays Center. Judging from their full itinerary, however, it would appear they’ll also make an appearance at Bonnaroo. Speculate yourself below. According to a press release, Ben Gibbard and Jimmy Tamborello will be joined on the road by Rilo Kiley’s Jenny Lewis and Mynabirds’ Laura Burhenn. Lewis previously toured with the band in 2003. As previously reported, the band is commemorating the 10th anniversary of their sole 2003 effort Give Up with a deluxe reissue, complete with 15 bonus tracks, which include two brand new songs entitled Turn Around and A Tattered Line of String. The release surfaces digitally on April 8th in the UK and Europe and April 9th in North America via Sub Pop.